Rose in Thorns: Stash reHash returns! 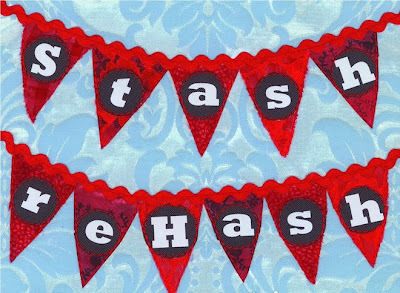 After the roaring success of the inaugural Stash reHash, held last year, it is back again for more fabric coveting goodness. Come to the Scottish Society Hall, corner of Edgeware and Caledonian Roads, St Albans this Sunday the 18th of April, from 11am - 2pm. There will be loads more fabric to peruse, and the Arthritis Society's donated goods stall is yet again going to be overloaded with fabric, notions, haberdashery and other crafty items. If you want it, it's sure to be there. As well as stalls from people clearing out their stashes, there will be three internet fabric shops in attendance. So if you like to look and feel before you buy, this is the perfect opportunity to check out all their fabric. There will also be coffee available, and yummy baked goodies from the St Albans school PTA. You don't really need any more reasons than that. Look out for me browsing through all the stalls, and quite possibly with an overstuffed shopping bag or two.